Christian Wirth was born on 24 November 1885 in Oberbalzheim, Wurttemburg, Germany. Following the completion of his education, he was employed as an apprentice carpenter with the Buhler brother’s timber firm. Entered the police force in 1910 and joined the Stuttgart Criminal police in 1913. As a non-commissioned officer in World War One on the western front, his bravery was rewarded by the golden Military Cross – one of Imperial Germany’s highest decorations. Wirth re-joined the police force after the Great War ended and thanks to his dedication, zeal , he became notorious for his “special” methods of investigation in criminal matters, which eventually resulted in his arraignment before the Wurttenburg Landestag. Nevertheless, by 1939 Wirth had reached the rank of Kriminalkommissar in the Stuttgart KRIPO, a department of the Gestapo under Arthur Nebe. Following special police duties in Vienna and Olmitz, he was transferred to the Fuhrers Chancellery to help with the planning and organisation of the Euthanasia operation, from October 1939. Wirth personally participated in the first gassing experiments in Brandenburg, and straight after that in February 1940 to May 1940 he served at Grafeneck castle killing centre, and then a brief stay at Hartheim castle in Austria killing centre. 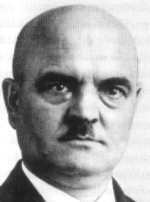 Between June 1940 and August 1941 Wirth served as a roving inspector of all euthanasia institutions throughout the Third Reich. His whereabouts between September and December 1941 are unknown, but some sources say he was involved at seeking to establish a Euthanasia killing centre in Lublin and passing on his experience at Chelmno death camp. It is alleged that local Poles identified Wirth from selections of photographs. On the 22 December 1941 Wirth arrived in Belzec to inspect the construction of the Death Camp, and he returned with Adolf Eichmann and Hermann Hofle a week later. 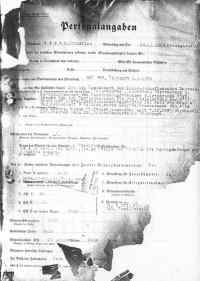 On the 1 January 1942 Wirth was appointed the first Commandant of the Belzec death camp. He was a brutal commander, who perfected the killing process, with ruthless efficiency. He was in command when Belzec became operational in March 1942 with the mass extermination of the Lublin ghetto. After Belzec was established Wirth was appointed Inspektor of the SS Sonderkommado Aktion Reinhard, and after a temporary stay in the Aktion Reinhard Headquarters in the Julius Screck Barracks, he moved to a new Headquarters on the old Lublin airfield, and took over control of the Old Airfield Camp..
Wirth frequently visited the three death camps (Belzec, Sobibor and Treblinka) bringing fear and terror, which earned him the nickname from his subordinates of “Christian the Terrible”. 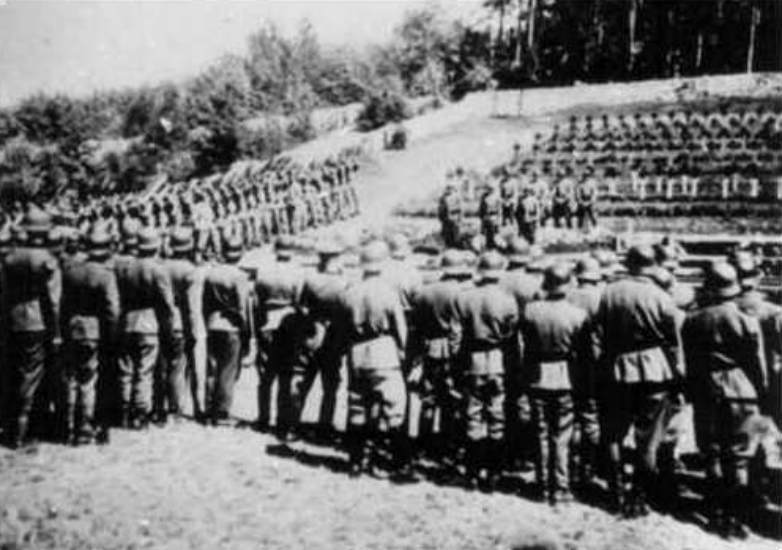 One of Wirth’s first task as Inspektor was establishing order at Treblinka death camp during late August early September 1942, following a complete breakdown in order at the camp, because Eberl accepted too many transports and the gas chambers could not cope. 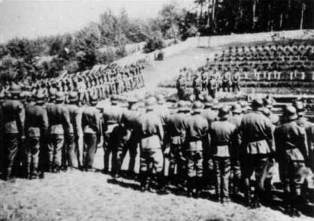 Wirth totally re-organised the camp, and instructed larger gas chambers to be built, ten instead of the three that had existed previously. Wirth was posted to Trieste in September 1943, but he did briefly return to Lublin for the 1943 Harvest Festival massacre. 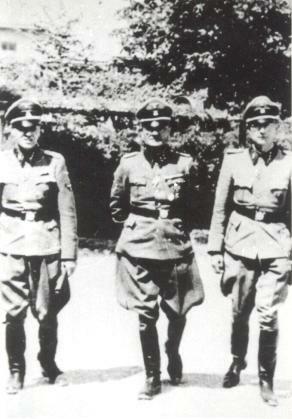 In Trieste Wirth commanded the SS-Einsatzkommando R, which was composed of former Aktion Reinhard members. On the 26 May 1944 Wirth was shot and killed by Yugoslav partisans near Kozina, Istria. He was buried with full military honours in the German Military Cemetary in Opcina, near Trieste. His remains were transferred in 1959 to the German Military Cemetary at Costermano, near Lake Garda, northern Italy.